The current standoff between the community and the NYPD is even larger than it appears. Not only are police, represented by their union, the Patrolmen’s Benevolent Association (PBA), turning their backs on Mayor Bill De Blasio, but they are also denying New York’s growing population of incarcerated elders a chance at dignity and justice. Aside from the Parole Board itself, no group influences parole release decisions as much as the PBA, and they wield their power to make sure that certain people never get out. Protesters in New York and throughout the country have made themselves loud and clear: there is a pattern of policing in our cities that suggests the police do not protect but rather endanger Black lives and communities of color. The PBA has taken these calls for change as a direct threat to police interests. 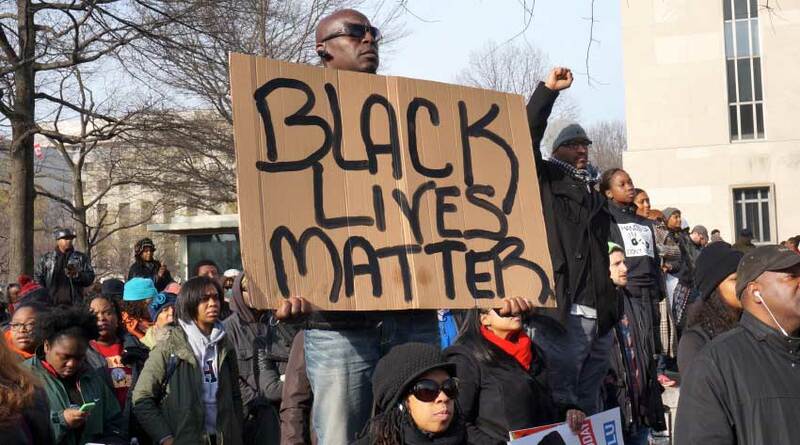 Insisting that Black lives matter has become, in the eyes of the PBA, a violent threat. Since the deaths of two NYC police officers at the hands of a misguided man, media have chronicled the “rising tensions” between cops and New York City residents. In the wake of the deaths, the PBA initiated a work slowdown, claiming they feared for officers’ safety. This punitive attitude has implications for incarcerated people. In light of the imaginary “backlash” against the cops, the PBA has renewed its efforts to keep many parole applicants behind bars – at all costs. A button on the PBA webpage instantly sends letters to Parole Board Commissioners insisting they deny parole to anyone convicted of violence—even attempted violence—against police. The PBA urges parole commissioners to focus on the suffering of deceased policemen’s families, ignoring the mandated use of risk assessment tools to determine when an incarcerated person should be released. This nourishes a system of revenge and permanent punishment in which a person’s original offense (often committed as many as 40 years ago) is elevated above all considerations of change, personal growth, and current risk to public safety. This effectively positions the Parole Board as a re-sentencing body, in which the nature of the crime is paramount. It also feeds the continuing growth of the population of people over age 50 in the New York prison system—the very population shown to pose nearly no risk at all to public safety. PBA president Albert O’Leary insists that “cop killers should never see the light of day,” but nearly every cop who has taken the life of a Black man has walked free. And what of Eric Garner’s family? Akai Gurley’s family? Mike Brown’s family? Is their grief worth less? The PBA, alongside the Parole Board and the courts, is sending a clear message that some lives should matter more than others. One of the most disturbing effects of this rhetoric identifying cries for justice as “anti-cop” is that it undermines our right to ask for accountability, our desire to confront the racism inherent in police practices, and our ability to question whether the life of a police officer should be worth more than a civilian’s. As the PBA and their president Patrick Lynch cause a racket with their vitriol and their arrogant demands for unearned respect, it is important to continue insisting that Black lives matter. Whether demanding racial justice on the streets, in the courts, or at parole hearings, we will continue making our voices louder than the PBA’s clamor.